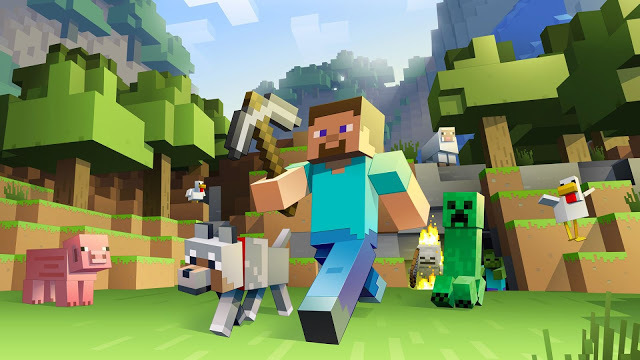 Minecraft now officially available for Oculus Rift! Minecraft is now officially available in VR for the Oculus Rift (first impressions here). A demo version is now available in the Oculus Store, which you can upgrade to the full version for $9.99. Alternatively, it is a free update for owners of Minecraft Windows 10 Edition Beta. Minecraft VR had been available for the Samsung Gear VR (reviewed here) in April. I’m not a Minecraft player myself, but my son is, and he loves the Gear VR version. I’m sure the Oculus Rift version will be even better. There’s no word on whether it will also be available for the HTC Vive (reviewed here) or Playstation VR. However, there’s an unofficial version of Minecraft for HTC Vive called Vivecraft. Here is the official announcement of Minecraft for Oculus Rift.